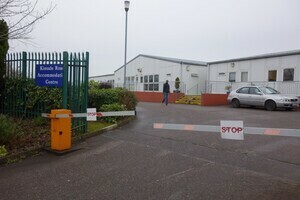 A woman, who has a six-year-old child, was found dead at the direct provision centre on the Kinsale Road in Cork. Meanwhile, In The Regency Suite Thar She Blew Meanwhile, In The High Court Yo Langer? Posted in Misc and tagged Cork, Direct Provision, Kinsale Road, Woman dies at 1:12 pm on August 24, 2016 by Broadsheet. Killed by racism. Sometimes I really hate this country. Yeah don’t complain about anything or try to change it. Please leave so we can carry on being insular and small minded. Yes, try and change the inevitibility of death. And of course you know that’s not what I meant. Or we could send you off and the rest can live happily ever after. Much of a muchness. to the likes of you? COT…..how have you concluded racism killed this woman…. Was racism in the deceased’s room, were you there, did you see Mr Racism on the campus, did somebody tip you off……????? Please do share how you have this insider knowledge of events………..
We lock up non-white people in Direct Provision, which is nothing but a glorified jail, kill them with boredom, bad food, no money. It’s a gross human rights violation. Still not really getting how you assume Racism is the weapon of choice…..
My understanding is that Direct provision is a means of meeting the basic needs of food and shelter for asylum seekers directly while their claims for refugee status are being processed. In the meantime, my understanding of an Asylum Seeker is that they are usually a displaced person who has been forced to cross national boundaries and who cannot return home safely. Such a person may be called an asylum seeker until granted refugee status by the contracting state or the UNHCR if they formally make a claim for asylum. I have never heard of an Asylum Seeker being identified and “non-white”…. that is far too KKK and Southern USA for my liking; remember “No dogs, No Whites, No Irish”?????? Society so easily jumps to Racism as it’s a globally accepted for an offensive claim. Most asylum seekers are non white because of a complicated mix of demographic, political and economic factors. Very few of them are racist in nature. The UNHCR, glad you mentioned it – it has condemned the direct provision model as a breach of fundamental human rights. 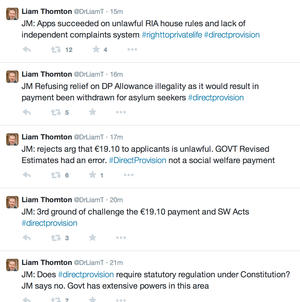 Some people have been in direct provision for over NINE years. The whiter your are, the less chance you have of ending up in direct provision. So far, that’s the entirety of the story. That is very sad! I hope that they do right by the child. 27th amendment. Even if the child was born here, he’s not a citizen, so they can kick him out and tell him to fupp off back to where he came from. Yep, we need to repeal the disgusting 27th Amendment, we’re better than that. Ireland’s laws in this regard are no different from a lot of countries. So it’s okay to have laws for kicking kids out cos the other countries do it? I wonder could we get a few more laws changed here because other countries do it? Seems some people in Ireland only care about children whilst they’re unborn. Would you rather that someone enters the country, has a baby 3 weeks later and is then deported leaving the child to the mercy of the state? I’d rather the family stay together and not get into the further demonisation of women wit rightwing conspiracies about “foreigners coming over here having babies to get benefits”. What s loaf of waffle. Also as an aside, there’s only 30 countries that allow citizenship by birth and most of them are in the americas. The US, Canada, Brazil, Argentina, Uruguay and Mexico seem to be the main developed nations that have this. No European or Asian country has it. Only really Pakistan has it outside of the Americas. Any country that has abolished laws permitting this (Ireland, India) did it entirely because of illegal immigration. That’s very sad. But the point of sharing it is…? Is this just a ‘normal’ death or is there more to it? If so, please expand. Read the links, there is no details. At the moment it appears to be a ‘normal’ death. If that is the case there is literally no story. I doubt it’s the first time someone has died while in provision and it won’t be the last. I think it means that Dr Facebook has completed the post mortem and established the cause of death. Can i ask why a Korean asylum seeker is in direct provision in Ireland, as opposed to South Korea which fairly willingly accepts them and which i assume would be far easier to actually get to from (presumably) North Korea? Whatever about race/asylum seeking, you are a human being first and foremost, this lady died and left a young child behind. Have a think about that. Yes, Broadsheet is certainly the place to ask that question. Aren’t you the guy who questioned the presence of a Serb here because you’d not seen anything about Serbia in the news for a while? Yes. No one was really able to answer that question for me. I know you don’t think BS is really the place to ask questions, more an avenue to direct snark and inanity, but someone of us have different opinions. You mean nobody here on this blog has information about internal decisions made by the state regarding some Korean lad nobody heard of? I’m shocked! Also, just so you know, that information wouldn’t be anyone’s “opinion”. I mean, ffs. People could offer informed opinion. As opposed to uninformed bile. Which you are awesome at in fairness. So, well done on that, at least. Yes, buddy. There was definitely a good chance someone on a blog that posts dog pictures would know something about the motivations of a specific Korean lad locked up in direct provision. It definitely wasn’t you implying he doesn’t have a right to be there under the guise of a mind numbingly stupid question. Seen anything about Serbia on the news lately? Yes. They got hammered in final of the basketball at the Olympics. Like by 30 points or something. Some people are claiming that their star point guard is stuck in a direct provision centre in the middle of Laois and that’s why they suffered such a huge loss. Depends where she came from and how she got here. Best ask immigration, they’ll be happy to drop everything and answer your query about this specific person. I have the same thoughts when I see all those fit young men marching across Europe in designer clothes waving top-of-the-range mobile ‘phones fleeing ” persecution ” while they leave the women and kids behind to face it. You mean those people who came from a country that was relatively stable and prosperous up til a few years ago? Yeah, there’s no way someone could make clothes and phones last that long. Yeah. I mean, the stupidity of people really knows no bounds. A doctor in Syria would have made a good salary before the war, but not enough to make them bomb proof. Regardless of her personal circumstances, the fact that her six year old was the one who discovered it is awful. That poor child. Poor child. What is going to become of him? Oh Jaysus. This kind of crap cannot be allowed to stand in a country that expects our emigrate to be welcome everywhere “because we’re great – and great ‘craic'(pass the sick bag, Alice ‘) as well. Nice try, but no cigar. You know exactly what type of crap I’m talking about and – presumably, are in favour of it. Don’t annoy me. I really don’t know what type of crap you are talking about. A mother of a young child died, that is sad. I’m not sure how we can prevent that though. 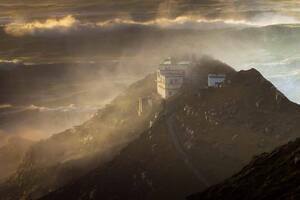 If further details emerge that show soemthing that can be prevented, then fine. With the available facts you are not making any coherant sense though. Looks like he just compared legal emigration to illegal immigration and refugees. Shame some people don’t know there’s a difference. Appalling. That poor woman and her child. Meanwhile, Ireland’s #generationsnowflake is whingeing they can’t get mortgages to drive gentrification and social exclusion to new heights. Enjoy your Avocado Sandwich lifestyle. I think you’ll find ‘generation snowflake’ are doing more to campaign against direct provision than you’ve ever done. And what generation are you part of, the one who were able to buy reasonably priced houses? Pontificating prick. Typical of a Broadsheet commenter to sneer at those who want to pay their own way and ensure security in their latter years. I presume you just wanted to make some sort of sneery comment referencing that article regardless of whether it made any sense to the discussion or not? Generation snowflake must be the new hipster, a vague general term used as an insult by people with no imagination and mainly used incorrectly. Tesco is one of the biggest sellers of avocados in Ireland. Tescos get theirs from Chile, Peru and Kenya…..
there’s nothing ethical in gobbling down avocados. It’s up there with almonds for it’s damage to the environment. They put avocado on their burgers in Mickey Ds in Chile. All rise. Broadsheet Court is now in session.